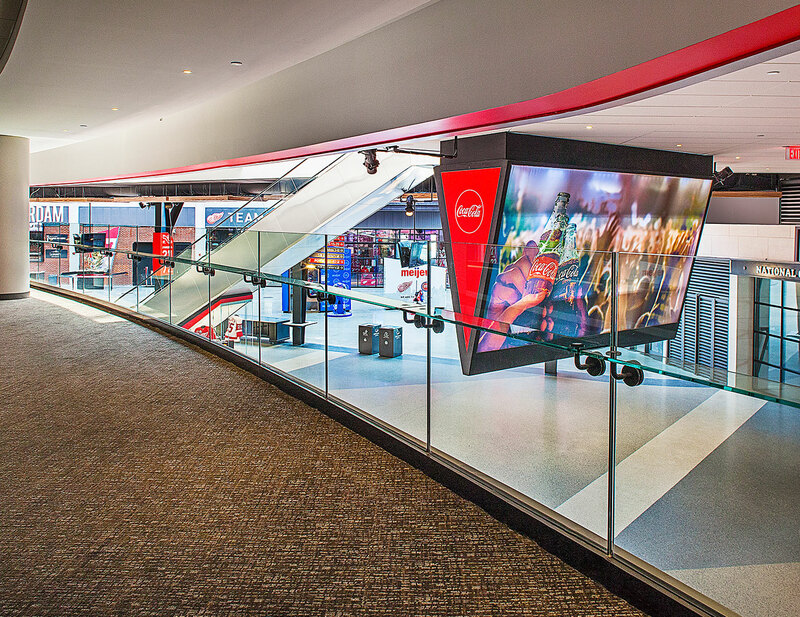 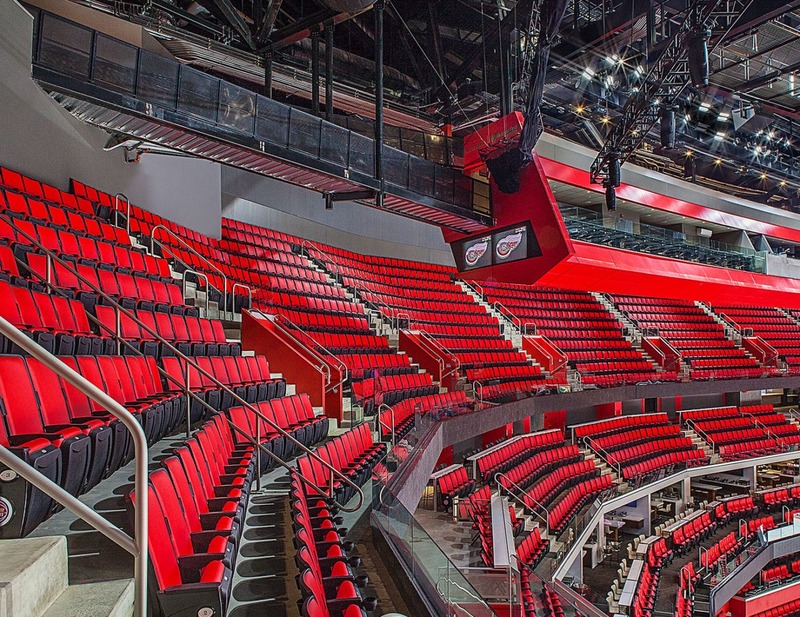 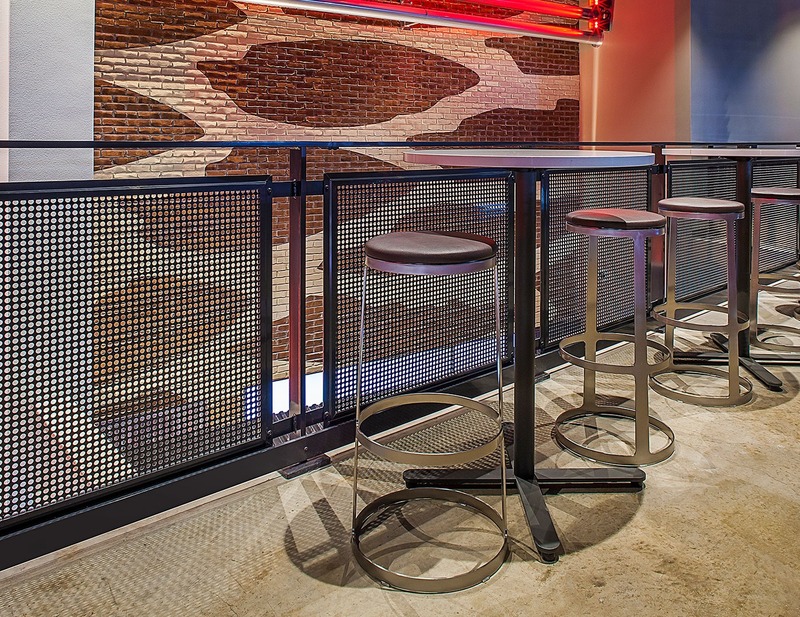 Little Caesars Arena | Trex Commercial Products, Inc.
Top mounted aluminum anodized Gridguard with perforated infill , and custom drinkrail were utilized on ADA sections throughout the fan seating areas. 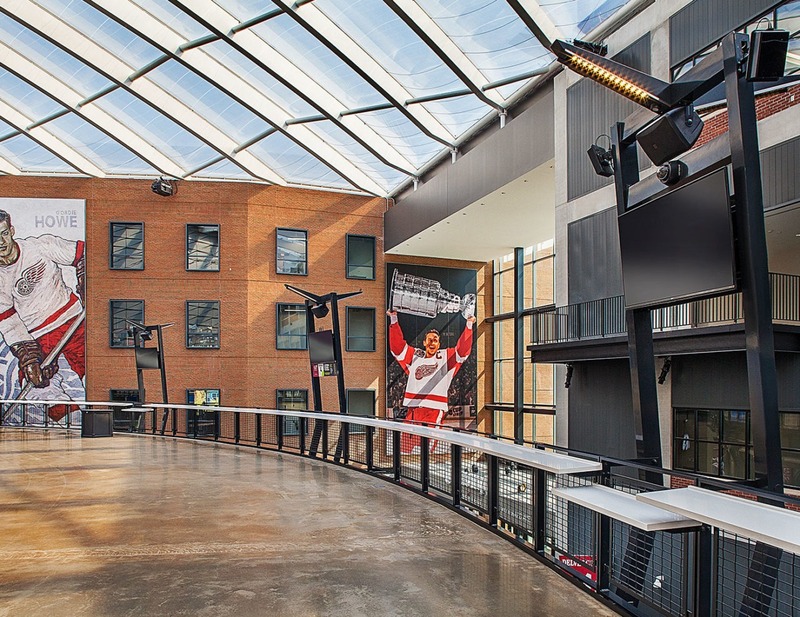 Track Rail lines the uniquely suspended gondola seating section allowing for clear visibility of the event while feeling like you‘re close to the action. 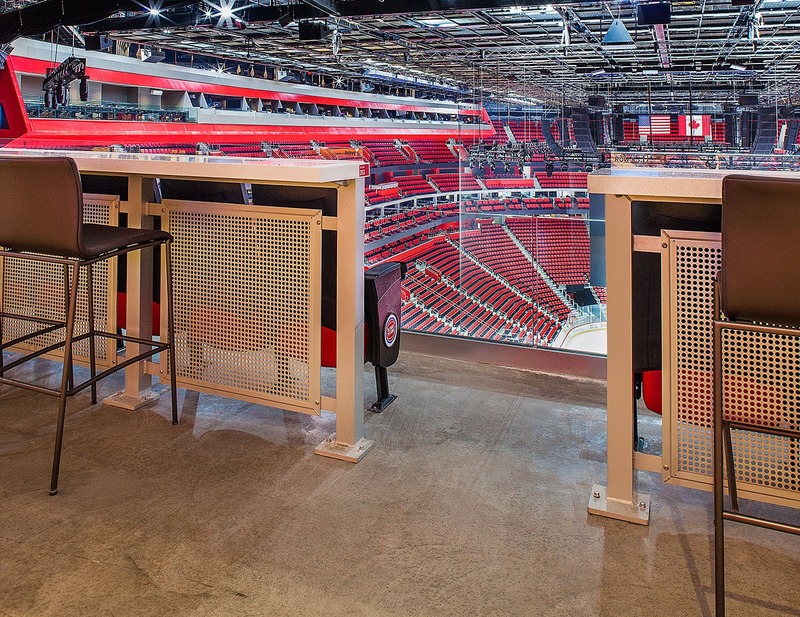 Black powder coated Gridguard railing with mesh infill found throughout the arena including social areas, concourses, and overlooks. 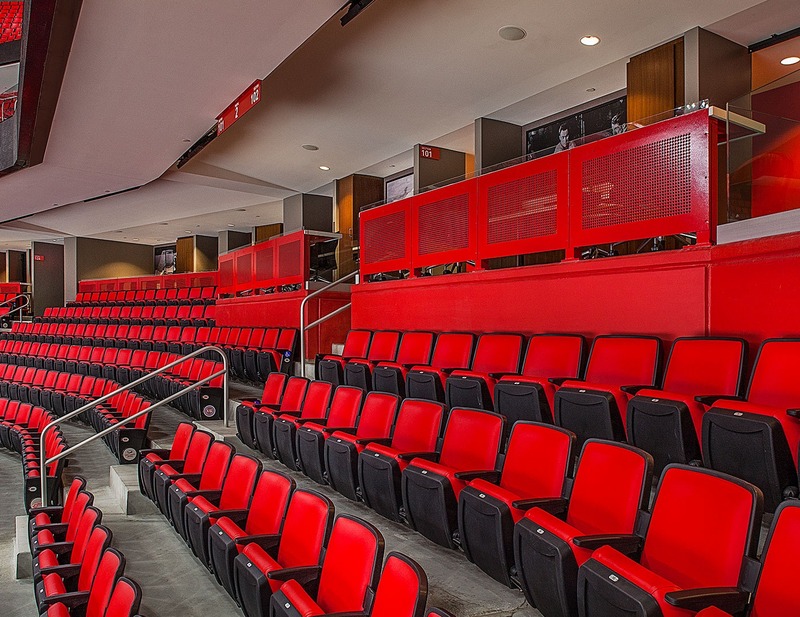 Aluminum Griprail utilizing the core drilled attachment method can be found throughout the arena’s seating area assisting fans to and from their seats. 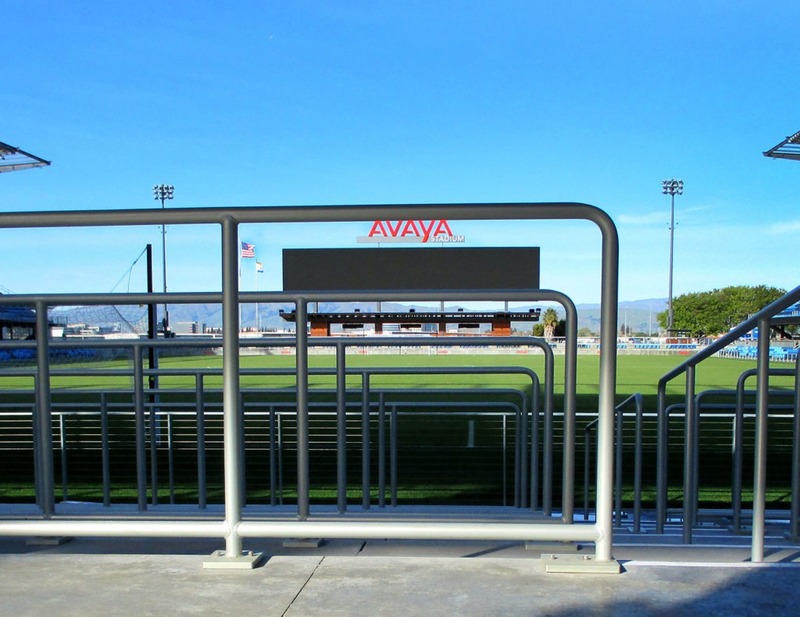 Aluminum Gridguard railing with perforated infill, and custom drinkrail allows fans to enjoy the event from the concourse area. 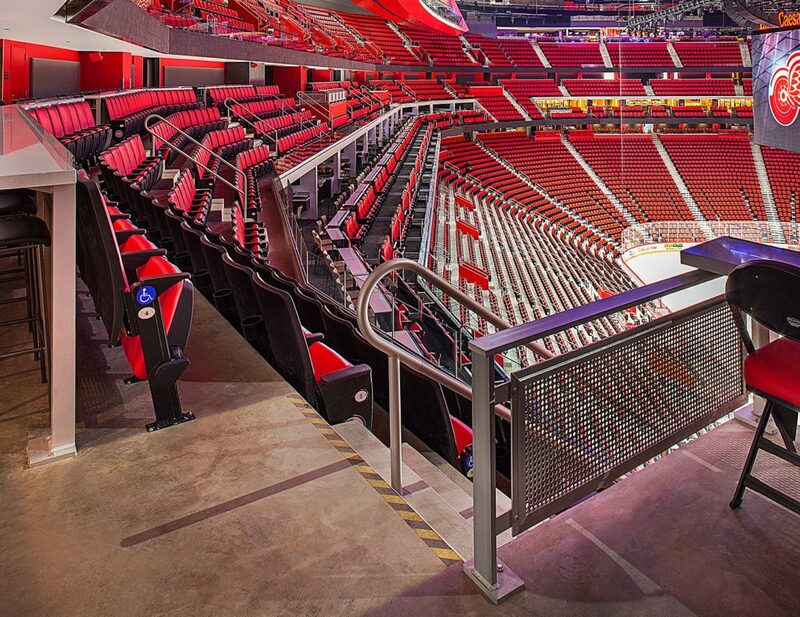 Gridguard railing with mesh infill, and custom drinkrail allows for an open airy feel throughout the upper concourse. 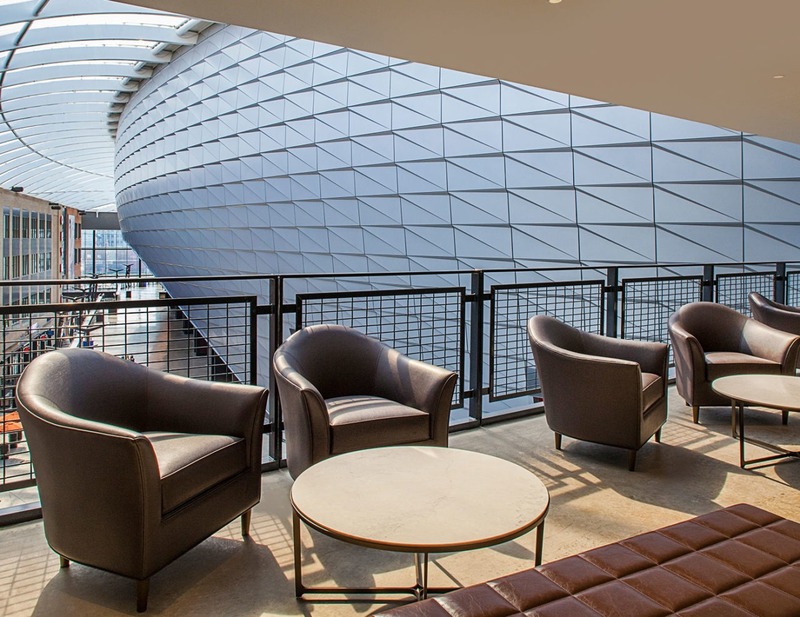 Black powder coated Gridguard railing with mesh infill lines this premium seating area overlooking the incredibly designed upper concourse level. 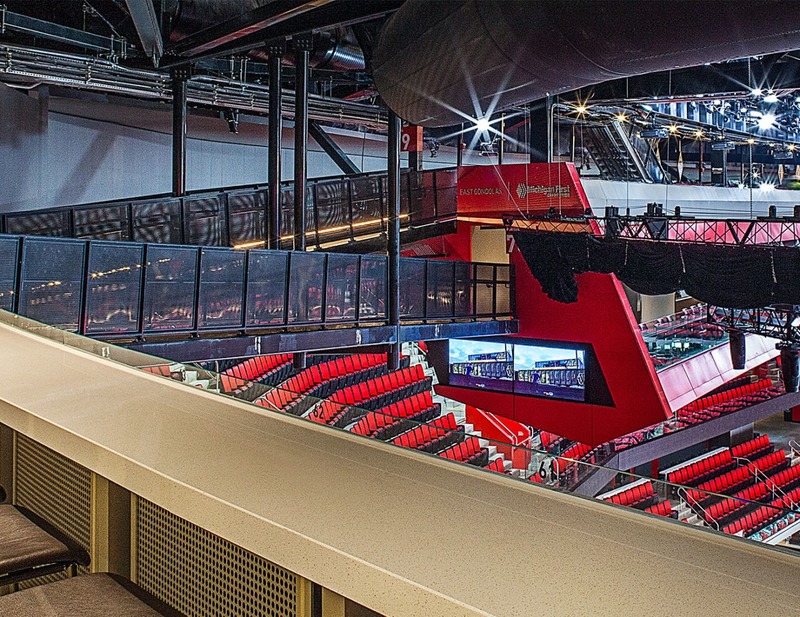 Custom Redwing Red Gridguard railing with perforated infill overlooking the arena floor lends for a touch of custom only found at Little Caesars Arena. 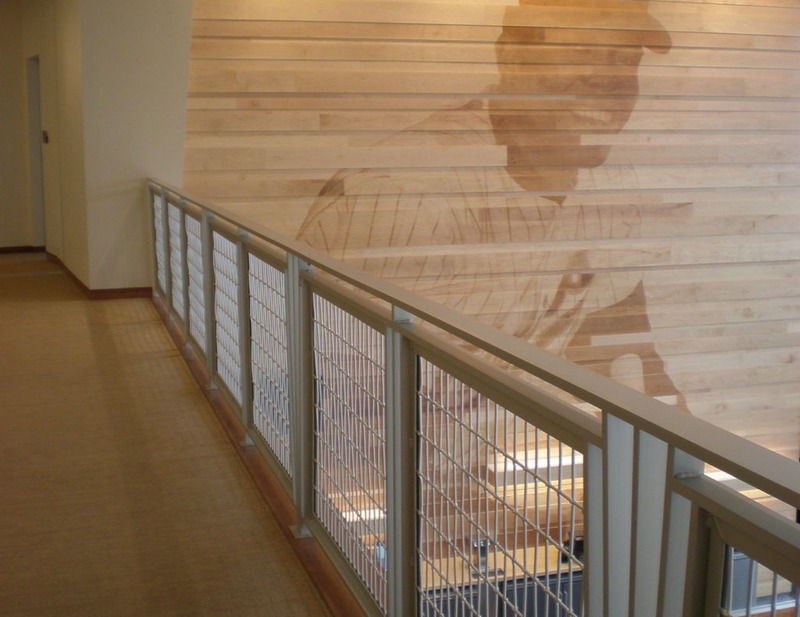 Glass railing can be found through the facility. 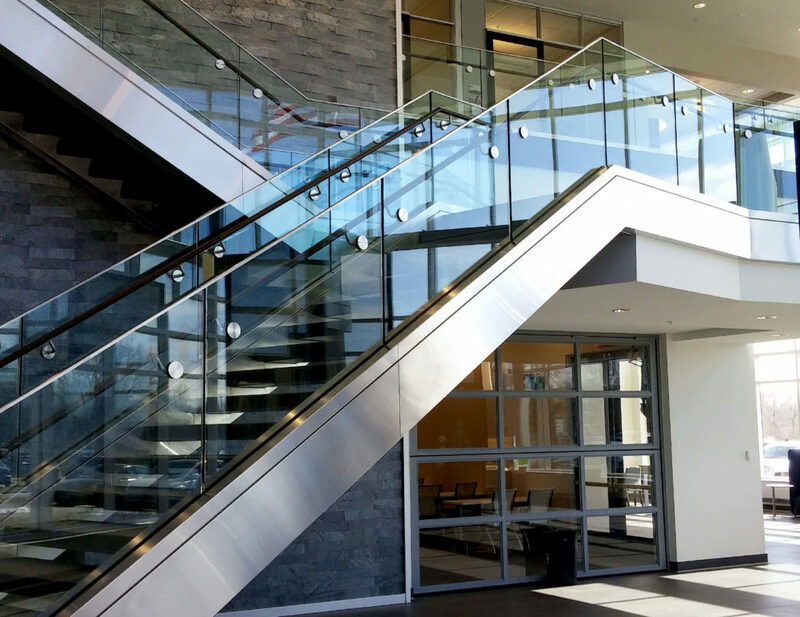 Here is an example of Track Rail glass railing featuring a custom glass drinkrail. 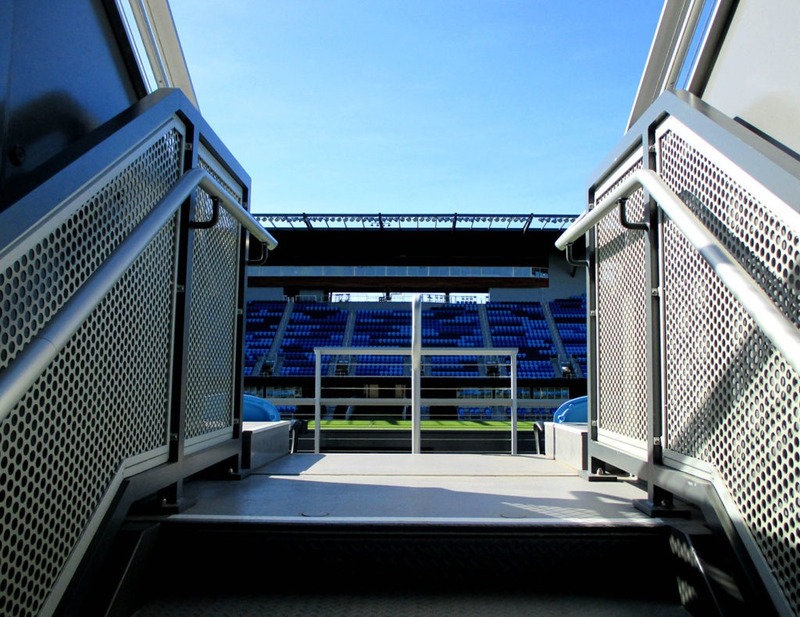 Gridguard mesh railing lining gondola bridges leading to upper and lower gondola seating areas. 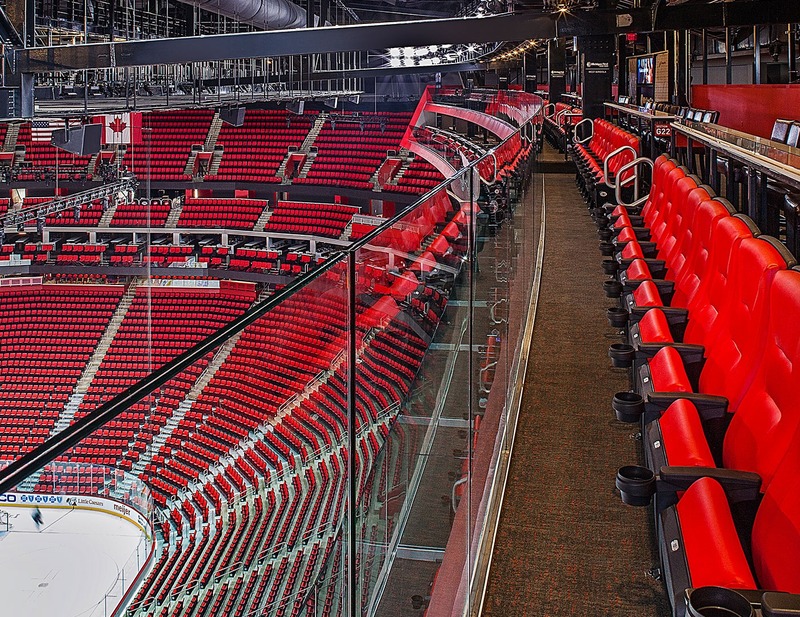 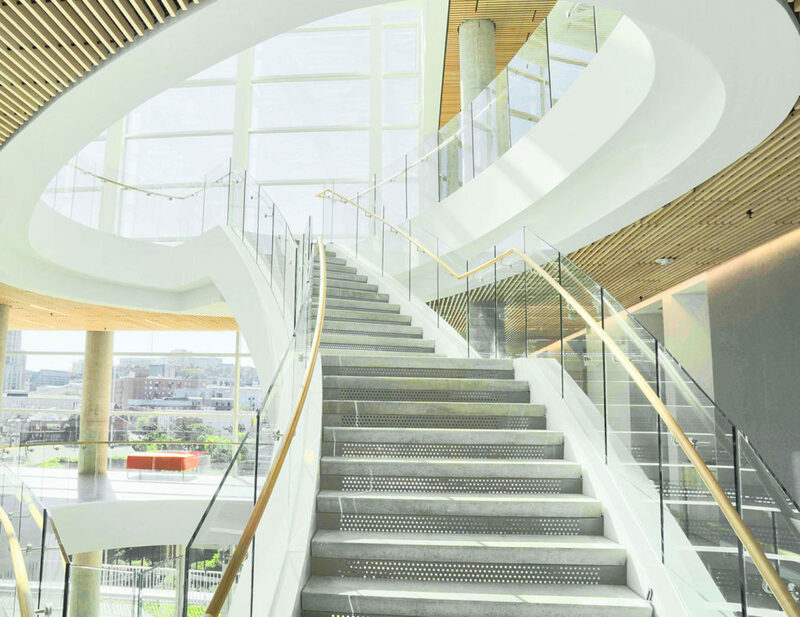 Over 18,000 linear feet of custom decorative railing can be found through Little Caesars Arena. 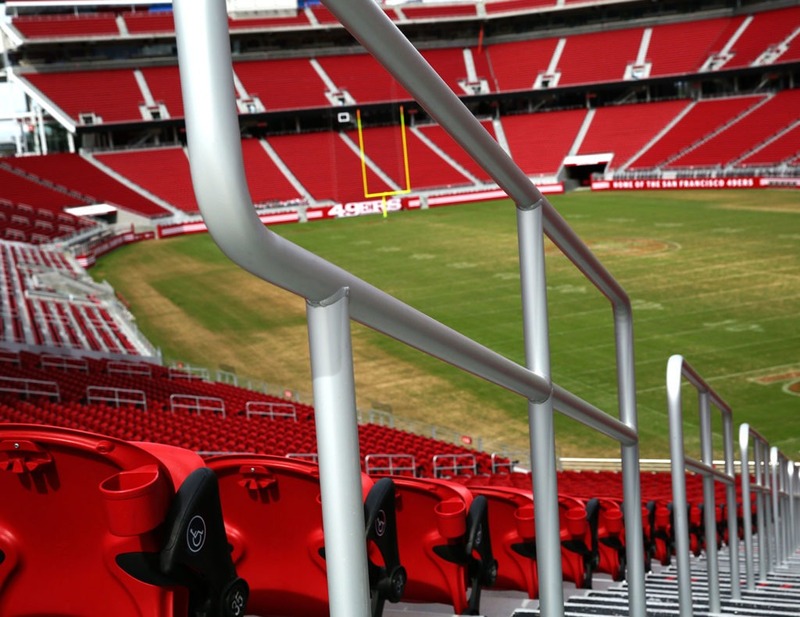 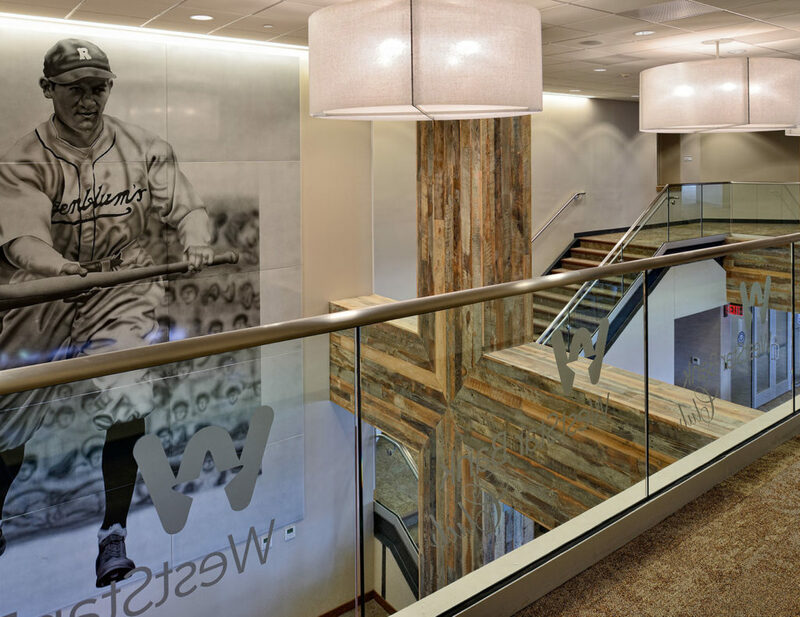 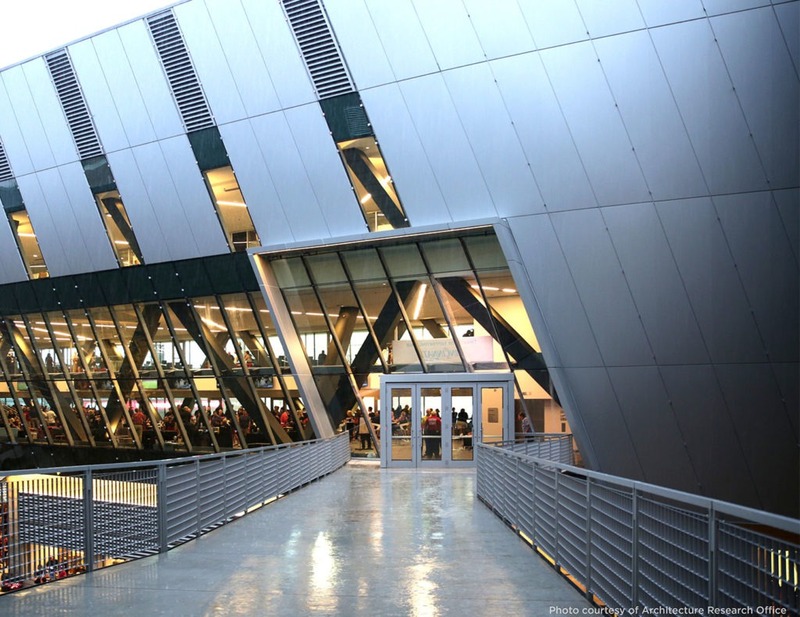 From its unique gondola-style seating area suspended high above the playing area, to their numerous VIP club sections, to the seating bowl itself, you can’t go far without viewing a custom railing designed and manufactured by Trex Commercial Products. 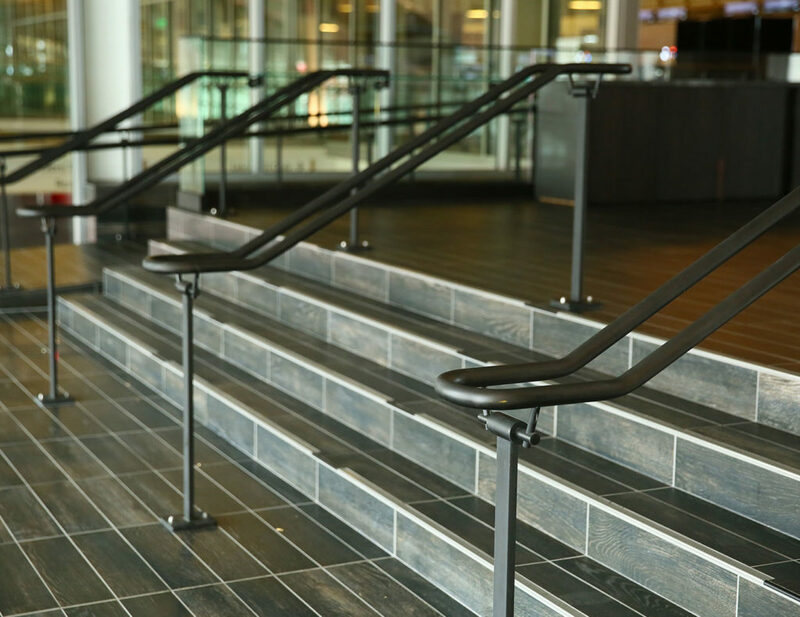 Pipe style railing creating a graspable metal handrail for commercial construction projects.